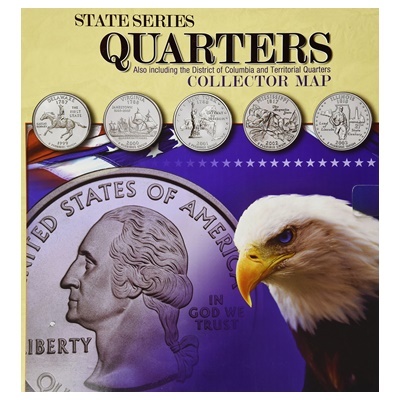 Launched in 1999, the United States Mint's 50 State Quarters Program was a 10-year initiative that honoured each of the nation's states in the order that they ratified the Constitution or were admitted into the Union. 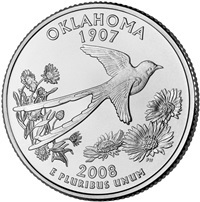 Each quarter was produced for about 10 weeks and will never be produced again. 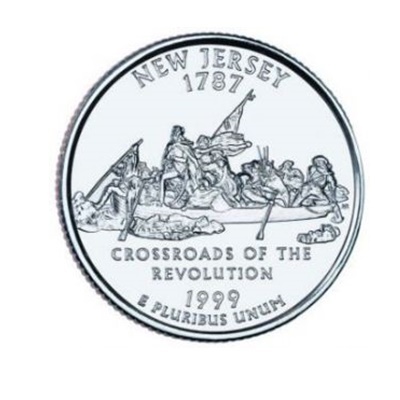 State designs are displayed on the reverse (tails) of the quarters, while the obverse design displays the familiar image of George Washington. 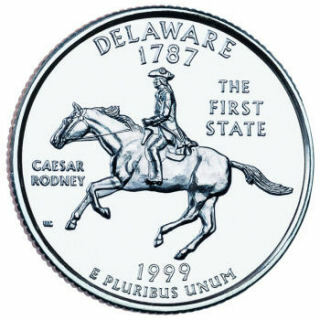 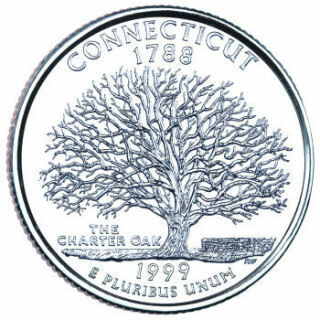 To accommodate state designs on the reverse, the words "United States of America," "Quarter Dollar," "Liberty," and "In God We Trust" all appear on the obverse.